Learn about Cognitive Behavioral Therapy (CBT) and medications often used to treat Generalized Anxiety Disorder (GAD). Generalized Anxiety Disorder (GAD) is a psychiatric disorder characterized by a constant sense of worry and fear that interferes with daily life. Commonly referred to by psychiatrists as "free floating anxiety," people with GAD often find it difficult to control feelings of nervousness and worry. There are many types of therapy treatments used for GAD. Cognitive behavioral therapy (CBT) is the most frequently used therapy treatment for anxiety disorders. CBT has been shown to effectively treat generalized anxiety disorder, panic disorder, phobias, and social anxiety disorder, among many other conditions. CBT teaches individuals with GAD new ways to think and react to situations, which ultimately reduces their anxiety both in the short-term and long-term. This form of GAD treatment may also reduce symptoms of a co-occurring psychiatric disorder like depression. This is particularly helpful, given that individuals with GAD often suffer from other psychiatric disorders. Psychoeducation: Clients learn the purpose of the treatment and how it works. They are taught about the nature and causes of anxiety and worry, and the interaction among thoughts, behavioral responses, and physical sensations that are involved in GAD. Self-monitoring: Clients are encouraged to notice what brings on their anxiety and worry, and what happens when they worry. They are guided to look for cues in the form of thoughts, behaviors, feelings, situations, or physical changes. The purpose of this component is for clients to notice the antecedents and consequences of worrying in their efforts to learn to eliminate their worry and anxiety. Relaxation: Clients are taught different forms of relaxation and they are encouraged to practice them daily, often more than once a day. Common relaxation techniques include diaphragmatic breathing, progressive muscle relaxation, and positive imagery. The goal is for them to be able to apply these relaxation techniques when they feel anxious. Cognitive Restructuring: The client and therapist work together on thoughts and beliefs that are unique to the individual and GAD. (Some maladaptive ways of thinking are discussed on the generalized anxiety disorder description page.) Clients are encouraged to identify thoughts associated with anxiety and worry, to figure out whether they are accurate or likely, and to replace them with helpful thoughts that don't lead to worry. Exposure: Provides evidence to the client that their thoughts are not accurate or likely. In-session exposure for GAD asks patient to imagine the subject of their worry (for example, the catastrophic event) and to think about it for an extended period of time (e.g., 20 minutes). In-vivo exposures steer patients away from excessive planning or preparing for events. Cognitive restructuring and relaxation are used as coping mechanisms during the exposures. Exposure is an important step in treating GAD, because individuals with this disorder tend to avoid thinking about the catastrophic event itself. There is ample scientific evidence that cognitive-behavioral therapy (CBT) is very effective in treating all anxiety disorders, including generalized anxiety disorder (GAD). 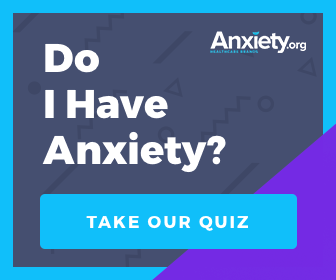 That is why the doctors of Anxiety.org developed the ABCtracker™, a CBT-based self-help module that you can use for free on this site. The ABCTrackerTM uses information you provide to create a custom treatment program focused on your specific symptoms. Studies show that many individuals with GAD who are treated with medication benefit from short-term reduction in symptoms. The most commonly prescribed medications are benzodiazepines, antidepressants (SSRI, SNRI, and tricyclic), and azapirones1, each with its own set of positive and negative side effects. There are many factors involved in determining which medication would work best, including the patient's medical and psychiatric history, and other medications being used. Individuals taking medications for GAD should be monitored regularly by a physician. 1. Barlow, D. H. (2002). Anxiety and its disorders: The nature and treatment of anxiety and panic (2nd ed.). New York: Guilford Press. 2. Hidalgo, R. B., Tupler, L. A., Davidson, J. R. T. (2007). An effect-size analysis of pharmacologic treatments for generalized anxiety disorder. Journal of Psychopharmacology, 21, 864-872.